Welcome to Santiam Medical Clinic, Part of Santiam Hospital. When it comes to your family and your health care, we understand how important it is to find the right medical provider. We are committed to lifelong exceptional care provided to you and your family. Santiam's primary care clinic is a state-certified, Patient Centered Primary Care Home( PCPCH). As a result the staff and the medical providers emphasize care coordination and communication. Ultimately primary care centers around the medical needs of our patients. It is our goal for you to live a healthy, vibrant, and well balanced life. We know you'll be well cared for by our excellent staff. Santiam Medical Clinic specializes in family medicine for all stages of life. As a family based clinic, our patients come here for many of their medical needs, including well-child and adult wellness exams, ages and stages, vaccines, and the ongoing management of acute and chronic disease. The clinic also offers on-site surgeries and procedures, hosts annual sports physicals at a reduced cost, and flu clinics. For your convenience Santiam Hospital not only offers a family doctor in Mill City, and we also have a Family Clinic in Aumsville, Stayton, and Sublimity Oregon. 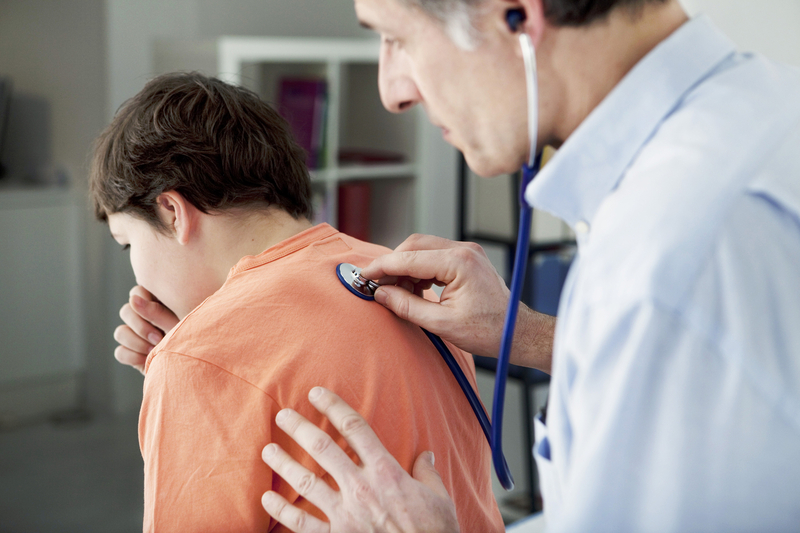 Chronic Obstructive Pulmonary Disease, or COPD, is a lung disease that causes breathing difficulties. A progressive illness, it can be fatal if not diagnosed early and managed properly, with the help of a pulmonology specialist. Therefore, take note of these symptoms and make an appointment with a doctor if they persist. If you find yourself gasping for air after everyday activities—like walking up the stairs, or, in extreme cases, just sitting at your desk—it’s a sign you should consult with a doctor. Do you have a cough for no reason? A cough that gets worse with time, especially if not coupled with any signs of cold or flu, could indicate a more serious issue. Since COPD involves your lungs not working correctly, you may suffer from lack of oxygen. This, in turn, allows carbon dioxide to build up in the blood, especially when you’re sleeping. As a result, you might be lightheaded or wake up with a headache. As any pulmonology expert will tell you, COPD often occurs along with other ailments like sleep apnea or gastroesophageal reflux—which can disrupt your sleep. You may also wake up due to coughing. If not allowed to get your full eight hours of rest for a long enough period, this can also lead to a weakened immune system and other health problems. Your lungs produce mucus to keep the airways moist. This is natural and healthy. However, an increase in the amount of mucus produced could indicate COPD, especially if it’s yellow, green, or contains blood. COPD is more prevalent than you might think, impacting some 16 million Americans. Preventive care means avoiding risk factors like air pollution, dust, and chemical fumes. If you smoke, research methods for how to break your addiction. If you live with a smoker, limit your second-hand exposure. Should you notice any of the above warning signs, see a doctor for a checkup. If they have concerns, follow up with a pulmonology expert. The sooner the condition is diagnosed, the sooner you can learn how to manage it best so that it will no longer pose such a disruption, or such a threat, to your life. Santiam Hospital has a specialty clinic focusing on pulmonology issues like COPD, asthma, bronchitis, and more. Serving the Mid-Willamette Valley area in Oregon, the clinic offers inpatient and outpatient services. Learn more about their pulmonary clinic online or reach out to this branch of the hospital directly at (503) 769-9455.